Do Well Site Leaders Know Enough About Station Keeping? Though a Well Site Leader is the decision maker for the entire deepwater asset, the majority of his / her focus is on the drilling process. What happens if we lose a thruster? Why do yellow and red drift-off times matter? Will that incoming squall affect tripping speeds? In a Class 3 DP Simulator students will learn the necessity of station keeping and its key interactions with the drilling process. Strictly following IADC WellSharp curriculum & IOGP recommendations, NobleAdvances' IADC WellSharp Supervisor Level Course covers both well control theory and practical exercises. Participants engage in activities designed to gauge understanding of well control in both the smaller DS-20 well control simulators and our full-sized DS-5000 conventional drilling simulator. Having honed our drilling operations for the past 97 years, NobleAdvances has distilled the necessary knowledge from our fleet of rigs into well control policies, procedures & industry best practices. 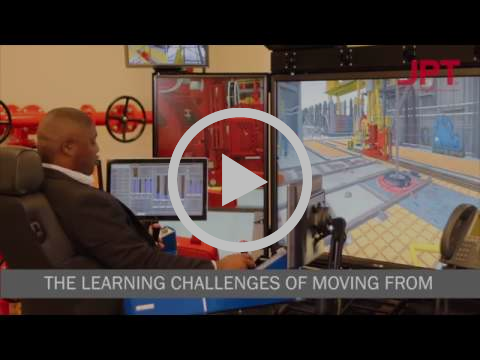 Every student gets to experience stripping exercises in our full-size conventional drilling simulator at our State-of-the-Art Facility in Sugar Land, TX. Learn industry best practices to avoid and mitigate stuck pipe incidents so we can keep the bit turning to the right.